Do you want to hear a scary story? In today’s episode, hosts Tim Bohen and Stephen Johnson are going to share a true tale of terror featuring a villain that strikes fear in the heart of every trader: the FOMO monster. Recently, Stephen was attacked by the FOMO monster in a trade, and it bit him big time, resulting in a staggering $5k loss. So what happened, and how could he have avoided it? Let’s explore. FOMO stands for Fear of Missing Out. While it can affect any aspect of life, in the trader’s world, it can be particularly ruinous. Fear of missing out on a hot trade can make traders act and react in uncustomary ways and make, quite frankly, stupid decisions. 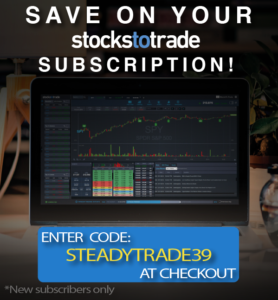 In the episode, Tim and Stephen evaluate how this affliction can affect traders and how to overcome it. What went wrong with Stephen’s trade? Stephen recently suffered a $5k loss as the result of falling prey to FOMO. So what went wrong? He went in too early. 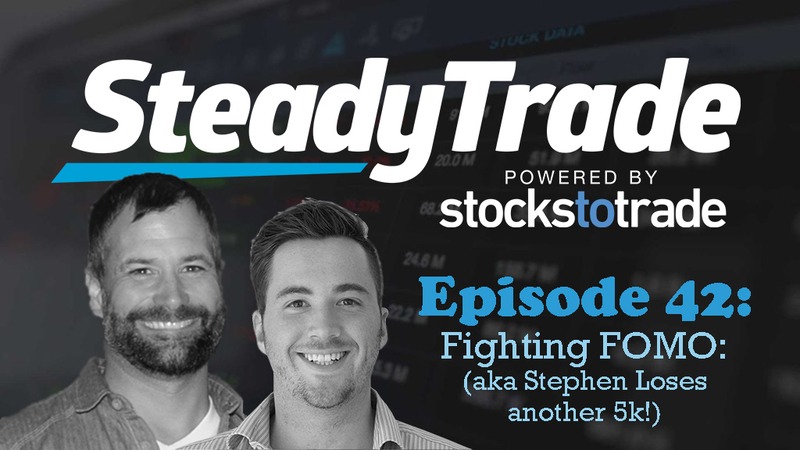 Tim and Stephen discuss how timing matters with trades, and how a fear of missing out led Stephen to jump in earlier than he should have. As Tim explains, the volume and morning highs could have helped inform Stephen back off from this trade because it probably wasn’t a good moment as a short seller. He lost sight of the basics. In his excitement to catch the trade, Stephen neglected to properly consider basics like the stock volume. With insane spikes, a trader must be aware that there can be a potential reclaim of the morning highs. He got too hopeful. Stephen kept waiting for a dip in the stock price that never came. Unfortunately, wishful thinking rarely delivers the results in the stock market. He got cocky. Stephen had been on a winning streak in his trading. However, as he puts it, he lost touch with reality by virtue of being up $6-7k. You always have to approach the market and its risk with respect. As Tim adds, “Recognize when you’re on that hot streak. There’s no point in giving back 5 months in gains because you get cocky”. Ultimately, Stephen says that he “loves nothing more to see a spike and then fail as a short seller.” But if it spikes, fails, then consolidates, everyone’s in for trouble. What did he learn? How do we avoid the third “Stephen Loses 5k” episode? Look at price action and volume. Never neglect to look at these basic indicators. If a stock hasn’t traded much volume in its past but suddenly does, it has the potential to break new highs. Cut losses when necessary. Traders seem to forget that cutting losses quickly is important when you’re trying making money. As Tim says, “you must be an assassin when it comes to cutting losses”. You must be heartless and calculated, because sometimes, there’s nothing that can be done to salvage a trade. Stick to the plan. FOMO can cause you to make some big mistakes. To help yourself avoid FOMO, make and stick to a trading plan. Don’t reinvent the wheel. Don’t take big positions with trading patterns you’re not familiar with. This trade wasn’t Stephen’s bread and butter set up, and he was more likely to fail simply because of this fact. Don’t be a dreamer. HOPE is the worst four letter word in trading. Instead of being a dreamer, be calculated. Let the numbers and data guide you. Time of day matters. Stephen should have waited until the setup truly was perfect. Patience is a virtue! Got a question or suggestion? Visit the “submit your audio” portion of the website to share your thoughts. Another excellent video. Thank you, Guys! God bless you, Stephen, for sharing everything with us. You are a real gem. I am a little disappointed not hearing the mysterious Touche sing at the end of this podcast though; thought Stephen said we would. Good lesson. Well done! Thank you. FOMO is a real crazy thing. Great episode. Thank you guys. There are some good lessons to be learned in this podcast. Thanks Guys.